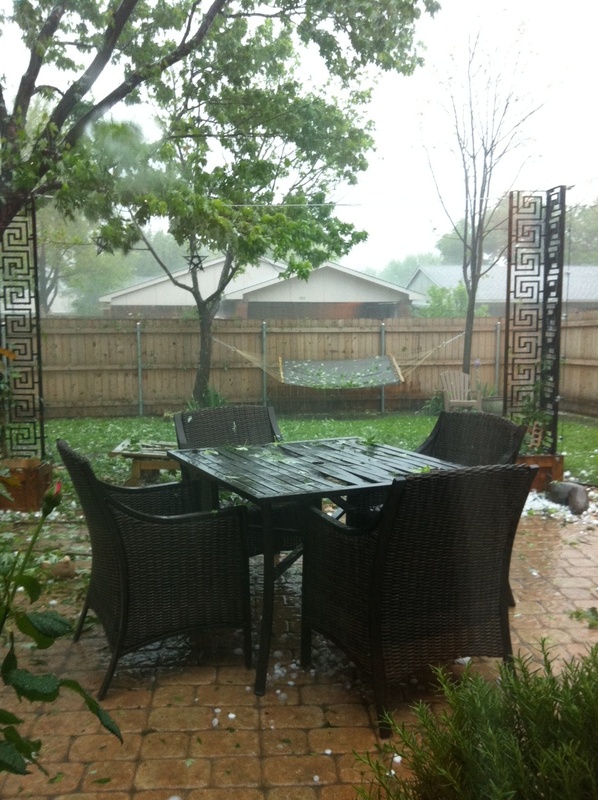 Once we got the check from insurance, which was more or less what we expected, we set out to look at patio furniture. We started off looking for a replacement table because our chairs were still functional and we still really like them. 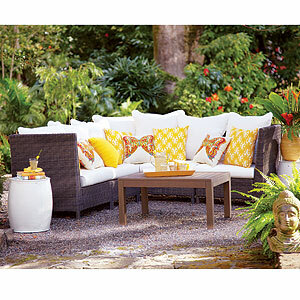 Inner thought process: What if we went for an outdoor living room instead of an outdoor dining room? People could still eat out there, but it would be more casual. There would be more space to hang out. It might actually be pretty nice– if we could afford some patio lounge seating. We could get one of those fire pits that doubles as a coffee table! Walmart may not be the most fun place to shop, but they sure do have low prices. The prices on their outdoor sectionals is way better than most. 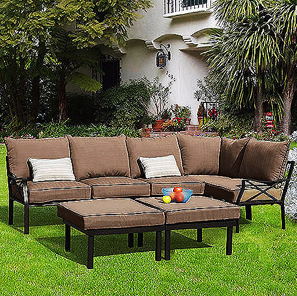 This 7-piece Sandhill sectional is only $499. It's been reviewed by more than 250 people and has received 4.25 stars. Not bad. Reviews always make me feel more confident about an online purchase. 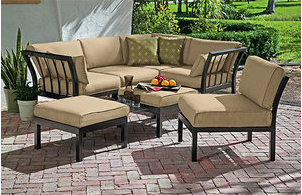 Ragan Meadow 7-piece sectional, on sale for $599. It also has good reviews. 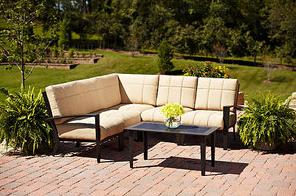 Hometrends Urban Haven II 6-piece sectional, on sale for $649. I'm not crazy about the cushions, but it also has good reviews. Our original dining set is from Target, so of course I checked out the selection at Tar-jay. 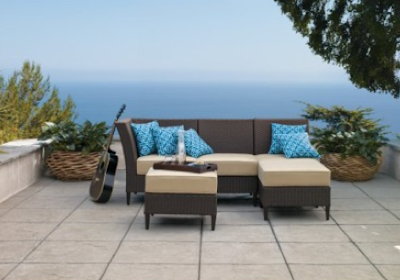 Cascadia 3-piece sectional, on sale for $419. 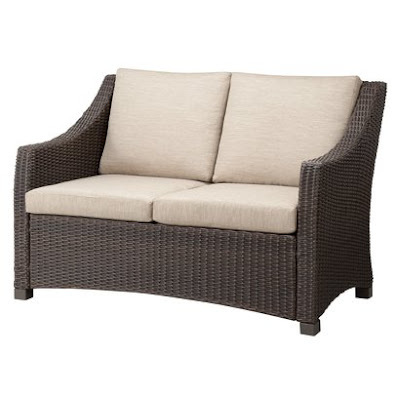 Decent reviews but a lot of the owners complained about the poor quality and durability of the cushions. Plus it's only three pieces, not 5 like this picture. During this patio hunt, we have been to Target, Home Depot, Lowes, World Market, The Great Indoors, Costco and The Dump. I've done some additional shopping online to rule out Big Lots and Kmart. 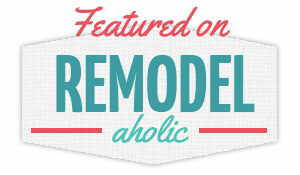 If we decide to go back to buying just a dining table, I saw two that I liked at Lowes. 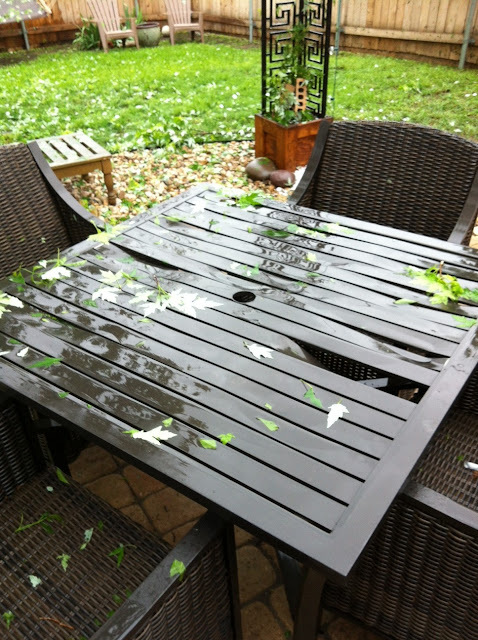 Should we just buy a new dining table and call it a day, or should we add a sofa or sectional to make this an outdoor living room (and get rid of the table)? I wouldn't scrap the chairs with that second option– I would just use them for extra seating along with whatever sofa/bench we bought. Decisions, decisions! What should we do? Do you have any suggestions? 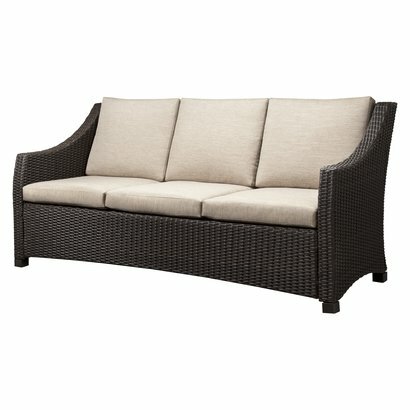 Did I miss a good place for shopping for affordable outdoor furniture? Just keep in mind that the key word is affordable!